The above are kindly made available to us by Maprunner. 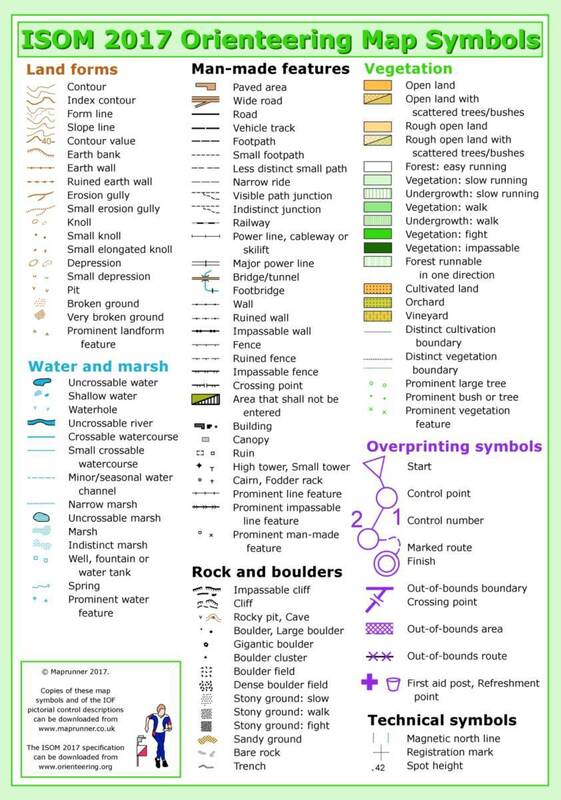 Guides are also available on the Maprunner website for sprint and schools map symbols. The way things are mapped changed in 2017. A really useful pictorial guide by Berkshire OC explains the effect of the new mapping standards.